The best thing about the marketing industry is that in order to create an effective advertising campaign, you do not need any trade secrets. The majority of the good ideas are mostly creative mashups of the ideas of other people whether it is in the domain of copywriting, graphics, targeting, etc. Technology plays an integral role in paid marketing. Free PPC tools make it super easy to crawl the web in its entirety 24/7 as well as store data about mobile apps and different websites. This data can be about how they rank, the cost involved, keywords they have bid on or whether it works at all. Once you are properly armed with all this knowledge, it becomes easy for you to boost the performance of your ad, get optimization ideas as well as stay updated on the latest modifications happening in the market. Let’s check out the top tools that can help in this regard! SEMrush has a free as well as a paid version that can help you immensely with your research on keywords and competition. It is a comprehensive tool that can help you see and analyze your competitor’s ads as well as find out how much they are spending on advertisements. You can also check your competitor’s keywords with the help of SEMrush. Hence, it is very comprehensive and can be of great help for search engine marketers. iSpionage helps you assess other people’s ads and understand how they are using keyword groups, advertisements,and landing pages. It is a paid tool but can give you all the details about the PPCs and keywords that your competitors are using. Wordtracker is a PPC tool that is quite similar in its function to the AdWords Keyword Planner. The only addition is of extra keyword data from Amazon and YouTube. It is easy for you to save all your keyword lists on this platform in addition to filtering them. It makes it super convenient to find all the keywords that you require in one specific place. It provides the basic functions of PPC keyword research as well as planning. In addition to that, this tool works wonders in grabbing the data of your competitors and identifying gaps as well as opportunities to enhance your campaign. Search Monitor is another great PPC tool that crawls the entire web in order to monitor all your ads across a wide range of devices and locations. This tool offers two main services of competitive insights and brand protection. It becomes easy for users to monitor their brand bidding, landing pages, offer content, FTC compliance as well as OTA pricing with brand protection. On the other hand, thanks to competitive insights, it becomes possible for the users to gather valuable data related to brand bidding, SEO, SERP and product listing ads benchmarks. This tool can prove to be especially handy for agencies and brands to track affiliates, detect brand violations and verify price parity across different sellers for the same services or products. SimilarWeb is available as a paid as well as free tool. It is a comprehensive one that gives you all the information about your competitor’s sources of traffic, demographics, audience and all other relevant information that you might need as a competitor. Ahrefs is available as a free tool and also has a paid version. It is one of the best tools available in the market that combines both PPC and SEO. It has a large crawler which can be counted as second after Google. Therefore, it offers a deep analysis of your competitor’s PPC and SEO strategies. Ahrefs also offers some community pages and blogs where you can have some intelligent discussions about relevant topics. With the help of Spyfu, you can easily search for any domain as well as see the list of keywords that your competitors are buying. You can also check their organic ranking as well as all their ad variations of the past 11 years. It also highlights a feature of “AdWords Advisor” that recommends that users all the profitable keywords according to the data of the competitors. In addition to that, the users can browse the AdWords campaigns of their competitors as well as see the results of all their split tests. If you use Campaign Watch, it is the equivalent of your top competitors reporting their marketing strategy first thing in the morning to you. At least, that is how Campaign Watch markets its tool. Using this tool can help you track the visibility of your competitors, new ads, average position as well as landing pages of your competition as well. You can even monitor their clicks, seasonal spend, number of keywords as well as position. Google Keyword Planner is a free tool that is built into the interface of Google Ads. It is a powerful tool that helps in keyword research. So, if you are looking for keywords to insert in your ads, Google Keywords Planner can be your top choice. It can help you choose the keywords that have a high search volume. 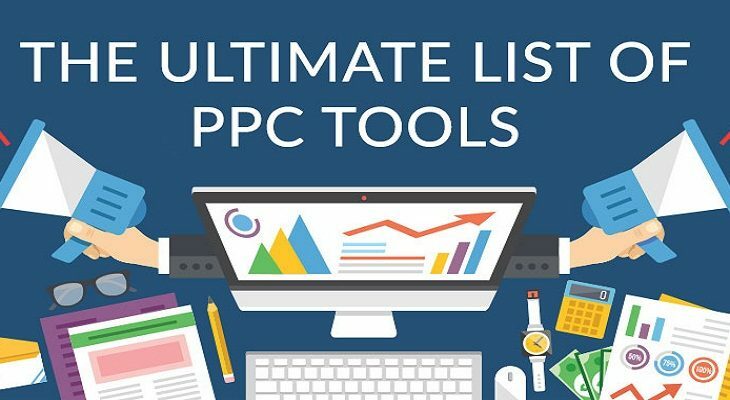 All these PPC tools can come in quite handy in order to understand the online behavior of your competitors and take advantage of that knowledge in your own advertising campaign. These tools have gained quite a bit of popularity recently,and it is expected that 2019 will see increased utilization of these PPC tools by agencies as well as brands. You can choose any one of these tools to create your own brand, get valuable data about the strategies devised by your competitors as well as receive regular updates directly in your inbox.